Since beginning intermittent fasting over a year and a half ago, I started drinking black coffee, since it’s one of the zero-calorie beverages you can enjoy in your fasting window. So many people I talk to say, “I could never give up my coffee with cream and sugar!” Well, this little hack may help. 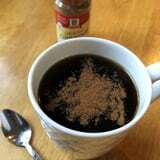 Whether sipping coffee from a mug or an on-the-go insulated cup, I sprinkle in a generous amount of ground cinnamon. After a good stir, I take a sip, and it tastes much warmer and sweeter than a bold cup of black coffee. 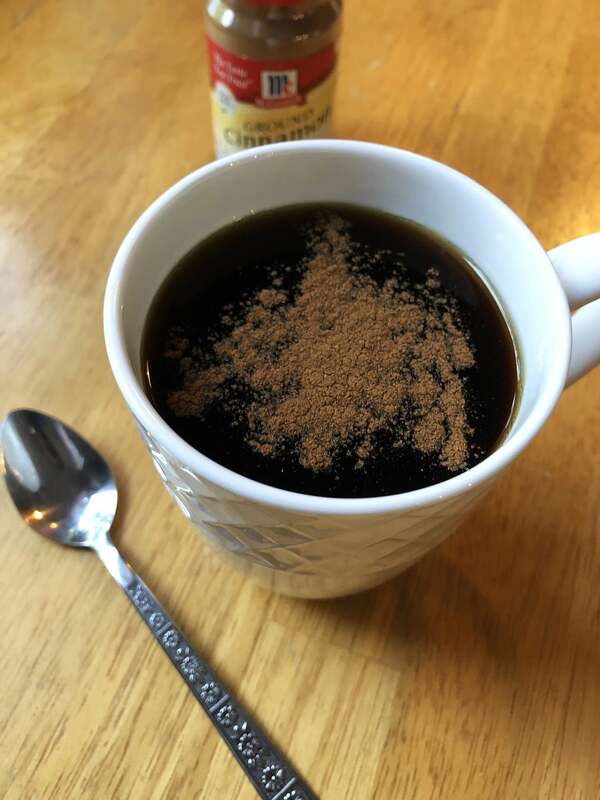 It gives it a more decadent treat-like taste and makes me feel like I’m enjoying a cinnamon scone, when it’s really just a zero-calorie (or practically zero-calorie), sugar-free drink. My morning cup of joe isn’t the only time I use this sugar-free hack. I sprinkle cinnamon on my Kite Hill unsweetened almond milk yogurt, on hot oatmeal or banana-sweetened overnight oats, on a slice of fresh apple, and on toast smeared with peanut butter. Aside from offering a subtly sweet flavor without sugar, cinnamon offers many health benefits. This spice is loaded with antioxidants and can help rid the body of cancer-causing free radicals. A handful of studies have also shown that cinnamon has anti-inflammatory properties, which can help with healing, chronic inflammation, and more, especially since diabetes and obesity are linked with chronic inflammation. What’s more, in a study that involved eating cinnamon rice pudding (can I sign up for this study?! ), the spice helped regulate blood sugar levels and delayed “gastric emptying without affecting satiety.” This could mean there’s a link between cinnamon and weight loss. Cinnamon for the win! So try this coffee hack, and see what you think. It’s a game changer for me!